At low brightness levels, the OLED panel will periodically emit a pulse of bright light. You usually set low brightness levels when your ambient brightness levels are low too, so these pulses of bright light become more noticeable as "screen flickering" in such conditions. Not all users can notice them, but these can cause eye strain irrespective of whether you can notice them or not. 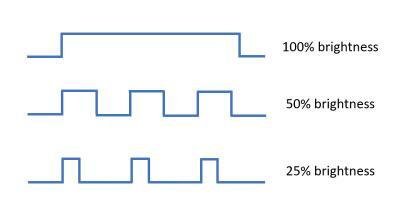 OEMs have become conscious of the effects of PWM and have begun taking steps to provide alternate solutions like DC dimming, which is a more conventional method of dimming the OLED panel by adjusting the DC current, but at the cost of perceivable quality. Xiaomi introduced DC dimming with its Black Shark 2, and also begun rolling out the feature to the Mi 9 in one of the newer MIUI betas. Several other OEMs like Meizu, Oppo and Vivo's iQOO have also promised devices with this feature. Now, OnePlus CEO Pete Lau has mentioned on Weibo that OnePlus is also exploring DC dimming functionality. The demo within their development team has gone well, but there are limitations to DC dimming. As a result, the Chinese OEM is looking to provide this as an optional feature within OnePlus Laboratory or within the Developer Options, in a future update. An option would certainly be appreciated by users who experience eye strain and headache and would prefer prioritizing their health over display quality. The post OnePlus will add DC dimming as an optional feature in a future update appeared first on xda-developers.